Jerry Cornell & his team are at it again over at Theme Parkology with what sounds to be another fantastic DVD to add to our video library! I am thrilled to announce that the history of The Rivers of America is now in the works. Returning to pen the script is writer Carla Minks, who wrote the script for The Haunted Mansion audio CD. She has a big task ahead of her as she will not only be writing about the history of the Rivers of America, but will touch on the construction and history of Tom Sawyer Island, the River Rafts, Mike Fink Keel Boats, Davy Crockett Explorer Canoes, Sailing Ship Columbia, and the Mark Twain Riverboat. I have just secured an interview with Disney Legend and Imagineer Ben Colcol, who was one of the imagineers who worked on the 1954 construction of the Rivers of America. Ben is just an all around nice guy who is only too happy to share his story with all of us Disney fans. By the way, Ben also worked on Disney fan favorite, The Country Bear Jamboree. I have also locked in an interview with Disney Imagineer Tom Nabbe, who was just a young boy of 12 when he landed the job of playing the role of Tom Sawyer when the Tom Sawyer Island opened in 1956. He continually asked Walt Disney for the job and his persistence paid off. If you have yet to get Tom’s book, From Disneyland’s Tom Sawyer to Disney Legend: The Adventures of Tom Nabbe, I would highly recommend it. 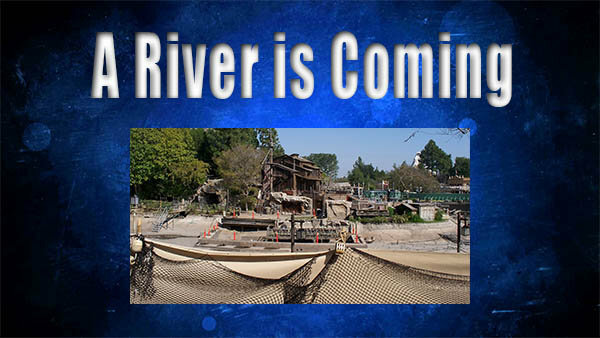 This is going to be an amazing documentary that will highlight the Rivers of America and it watered vehicle and island. We may even touch on Fantasmic! Save Up to 30% on 5-Night Stays in Paradise at Disney’s Aulani !